Despite the economy — and perhaps because of it — health and wellness coaching programs are flourishing. Betting on behavior change, more employers, payors and providers are offering health coaching to their populations to rein in the escalating costs of chronic illness and head off avoidable utilization. Meanwhile, consumers are signing on to coaching in greater numbers in the hopes that by getting and staying healthy, they can reduce the growing share of healthcare costs they are being asked to bear. In its continued response to this trend, the Healthcare Intelligence Network has published Health Coaching Benchmarks, 2010 Edition: Operations and Performance Data for Optimal Program ROI and Participant Health Status, an analysis of responses of 212 healthcare organizations to HIN's second annual 2009 Survey on Health and Wellness Coaching. Download the executive summary of Health Coaching Benchmarks, 2010 Edition. An all-new follow-up to the best-selling 2009 Health Coaching Benchmarks, the 2010 edition is packed with actionable new data on health coaching activity, with the latest metrics on the prevalence of health coaching, favored delivery methods, targeted populations and lifestyle conditions, preferred behavior change models, coaching case loads and much, much more. Drilling down to coaching trends for specific lifestyle conditions — weight management, smoking cessation and stress management — and by industry sector, the newly created 2010 report supplements this data with more than 40 easy-to-follow graphs and tables. This annual industry snapshot is once again enhanced by observations and advice from industry thought leaders on common coaching concerns — evaluating coaching ROI, using technology to engage patients in behavior change, tips for more effective coaching, and more. Health and wellness has been elevated to the global agenda, noted Dr. David Chin of PriceWaterhousecoopers Health Research Institute during a conference on 2009 healthcare trends. Health Coaching Benchmarks, 2010 edition continues to be the go-to compendium of reliable data to help organizations evaluate their programs and compare performance and utilization data. With its comparative year-over-year analysis of key health coaching trends, this book is an essential companion resource for any organization considering, planning, evaluating or enhancing a health coaching program. How are individuals identified for coaching programs? What is the optimal coaching case load? What factors influence a coach's case load? Which modality should be employed to deliver weight management, smoking cessation or stress management coaching? 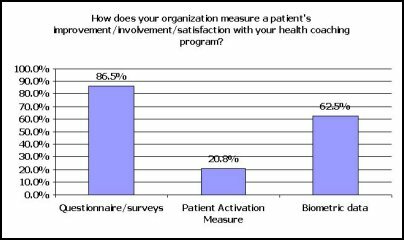 How can an organization measure a client's engagement in and satisfaction with a health coaching program? How can an organization measure ROI from health coaching? Frank commentary on what's working in health coaching and the greatest challenges associated with launching a coaching program. Kate Larsen, president of Winning LifeStyles, Inc., an ICF-certified professional coach and a Wellcoaches faculty member and mentor coach, on finding success in health behavior change through the effective use of health coaching interpersonal skills to immediately improve health coaching interactions. Paul Terry, president and CEO of StayWell Health Management, on earning an ROI from health coaching by using best practices in health improvement and aligning interventions with the corporate culture. Dr. Jim Reynolds, chief medical officer, Health Fitness Corporation, on quantifying the impact of health and behavior change resulting from health coaching interventions. Health Coaching Benchmarks, 2010 edition: Operations and Performance Data for Optimal Program ROI and Participant Health Status contains essential information to help you measure program and coaches' effectiveness and improve ROI. 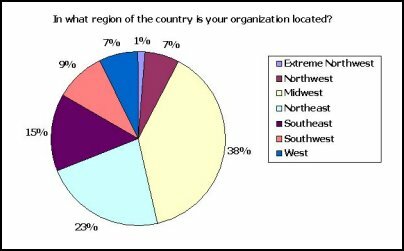 New market analysis by the Healthcare Intelligence Network (HIN) indicates that health and wellness incentives for health management are more widely used today than one year ago. On the heels of a 2010 healthcare reform law with its own built-in incentives for wellness and prevention, HIN has published Benchmarks in Health & Wellness Incentives, 2010 Edition: Utilization and Effectiveness Data to Drive Health Promotion, Compliance and ROI. This just-compiled collection of benchmarks is based on an analysis of responses from 139 organizations to HIN's second annual survey on the use of health & wellness incentives, administered in February 2010. An all-new follow-up to the best-selling 2009 Benchmarks in Health & Wellness Incentives, the 2010 edition is packed with actionable new data on incentives activity, including the growing trends toward integrating incentives with health benefits and financial penalties for individuals with certain health risks. This resource provides the latest metrics on the prevalence of incentives, favored incentive types, the population health management activities most often incentivized, identification and eligibility of recipients, and incentive program challenges, measurement tools, results and ROI. Download the executive summary of Benchmarks in Health & Wellness Incentives, 2010 Edition. New for 2010: This 60-page report not only provides an industry-wide perspective of incentives use but also drills down to incentives strategies in use by health plans and employers, supplementing this data with 50 easy-to-follow graphs and tables. Healthcare payors and purchasers can use this one-of-a-kind resource to compare their incentives programs to others in the marketplace, enhance efforts to reward health improvement and benefit from the ROI these strategies can generate. What are the top economic and benefit-based incentives in use today? 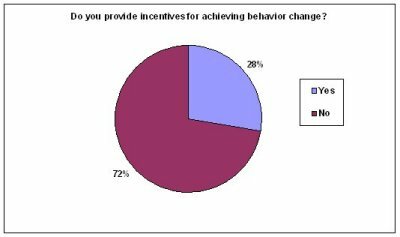 Which incentives generate the highest engagement and participation levels? 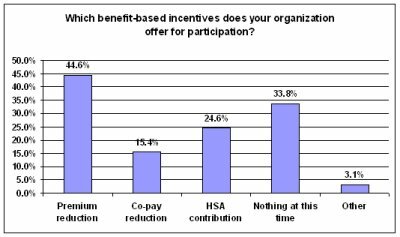 What percentage of companies are rewarding repeat or long-term participation, and for which health-related activities? What are the top program communication methods? Who's offering incentives to spouses and dependents as well as employees? What is the impact of an incentive program on healthcare costs, absenteeism, presenteeism, pharmacy claims, productivity, health utilization and other metrics? Paul Terry, president and CEO of StayWell Health Management. Whether your organization is in the early stages of program design or in search of the latest strategies to reward long-term or repeat participation in health-enhancing activities, the key to success is access to reliable utilization and performance data on incentives trends. Benchmarks in Health & Wellness Incentives, 2010 Edition: Utilization and Effectiveness Data to Drive Health Promotion, Compliance and ROI will help organizations craft an incentives strategy that will jump-start participation and motivation in health assessment, health coaching or worksite wellness programs.